At least partly because of the huge success of YouTube, people get excited today about the potential of video for training and education particularly in the context of e-learning and distance learning. There is a lot of hype about it but we need to examine the real benefits before plunging in. Here are some of the benefits of video for training as described by eWEEK (2011). Let’s examine them critically. Video conferencing helps meet the collaborative needs of an increasingly virtual workforce. Video conferencing lets you extend the reach of experts. Saves time and cost of travel. Video conferencing and video clips facilitate familiarity to improve collaboration. Video lets users train at their own paces. Ability to demonstrate is far more effective than written instructions. Trainees can view recordings later. Video helps new workers get into the fold faster. Points 1, 2, 4, and 5 are valid about training at a distance generally but they are not specifically about video. E-learning can be done using text (e-mail, discussion groups, blogs, wikis, etc. ), graphics and/or audio in ways that can be as effective as video and, in some cases, more so. Video requires more bandwidth and infrastructure. Is it really worth the investment? Point 3 has validity in that video may have the ability to engage learners with a strong social orientation who want to believe they are interacting with real people more effectively by providing additional cues such as facial expressions and body language. Point 4 is a mix. I would argue that video can actually interfere with a learner’s ability to learn at his or her pace. Video and audio are time-locked (unlike text are not easily sped-up, slowed-down or searched). For some learners, video goes too slow, for others it is too fast. Text based training allows learners more control over pace, easier searching capability and note-taking convenience. The point about demonstrations is a good one but to do it well requires special expertise, skilled camerawork and careful planning and is not often done effectively in a live videoconferencing situation. Recordings of video conferences/presentations do have some value for review but still do not have the flexibility of text and the ability to participate fully in a “live” event is lost with recordings. In a Tandberg white paper, Xanetis and Ittelson (n.d.) list the following benefits for students in a formal educational setting. Establishes a dialogue and exchange of ideas between students, educators and subject matter experts who have different viewpoints, experiences and strengths. Extends educational resources into locations where few exist due to location or funding. Prepares students for a future as global citizens, proficient in emerging technologies. Addresses multiple learning styles when distance learning is combined with traditional methods of instruction. Enables homebound or off-campus students to remain included and engaged. Enables advanced or special needs students to take advantage of learning opportunities that the school alone cannot provide due to a lack of staffing, funding or expertise. Provides students the opportunity to collaborate with peers from many cultures and communities. Rose’s (1997) Visual, Auditory, Kinesthetic scale. On this scale, video would appeal mostly to the visual learner. Which of these, if any, does video work best for? I would argue that video appeals more to some learners than others. In a Brandon Hall Group white paper done for Knoodle by Gary Woodill (2011), Richard Mayer’s work on multimedia learning is cited (Mayer, 2005). Again, the assumption is made that video is multi-media. Mayer defines multimedia as combinations of words and text. This can be done without video and the extent to which video adds to it is unclear. At several universities in the 1960’s (notably Scarborough College at the University of Toronto (Friedland, M. L. (2002)) television was considered the answer to teaching. Extensive studios were built, lectures were recorded and made available to students but these largely proved to be failures.I recall interviewing for a job via video teleconferencing 20 years ago. Cisco was an early adopter of video for training. They are committed to video for training in their company and are selling it to their customers as well. Cisco now owns WebEx – one of the primary providers of web conferencing and Tandberg - a purveyor of expensive, high definition, telepresence systems. Also around 15 years ago, training on various topics was available on CD-ROM’s. I participated in an evaluation of some of these products and we decided that there was an inverse correlation between the amount of video that was included and the effectiveness of the training. This was because the video was mostly talking head and simply slowed down the rate at which people could learn. Video is not cheap. Text uses the least bandwidth, audio significantly more and video the most. High quality, telepresence systems are still very expensive. The most powerful use of video for learning is using video recordings for feedback to learners practising psychomotor skills. Improving a golf swing is an example. The technology for doing this on the Internet doesn’t exist yet. Although it is possible using some of the high quality video conferencing systems, I haven’t seen an example of it. Another effective use of video is for demonstration of skills and procedures that clearly have a visual component. An example is welding. Doing this requires special expertise, skilled camerawork and careful planning and is not often done effectively in a live videoconferencing situation. Much of video is talking head – a person speaking. In live (synchronous) environments this may add facial expression and body language to the mix to enhance engagement and improve communication for some learners but may be a distraction for others. In a self-directed learning environment, video can simply slow down faster learners or go too fast for slower learners. Unlike text-based communication, controlling the pace is difficult. Note-taking and searching functions are much more difficult in video communication. Video in the context of training often has to do with video conferencing – live synchronous learning. This requires that learners – although at a distance need to attend at the time of the presentation in order to participate fully. So video may enhance the effectiveness of some learning activities for some learners but the cost/benefit ratio should by examined carefully before making a commitment. Be careful of the hype. 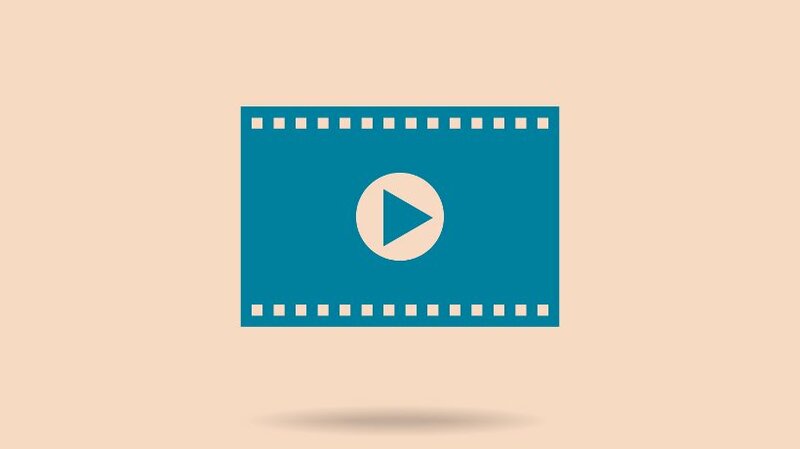 Video as a learning tool: A mixed blessing? Rose, C. & Nicholl, M. (1997). Accelerated learning for the 21st century: The six-step plan to unlock your master-mind. New York: Dell Publishing. Xanetis, J. & Ittelson, J. C. (n.d.). The new way of learning: Education video guide. A Tandberg white paper. Retrieved March 28, 2011 from http://campustechnology.com/whitepapers/2010/11/cisco_10a_education_video_guide.aspx?pc=t175em04&utm_source=webmktg&utm_medium=E-Mail&utm_campaign=t175em04. Or http://www.tandberg.com/federal-edu-video-guide.jsp.